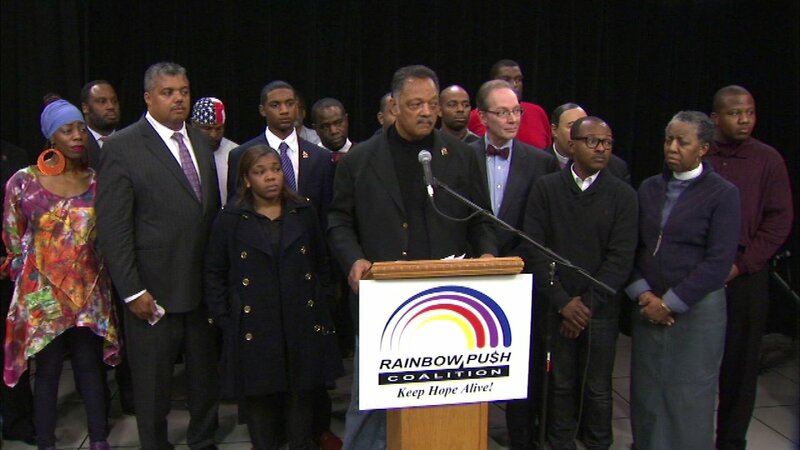 CHICAGO (WLS) -- The Reverend Jesse Jackson is calling on lawmakers to discuss officer-involved shootings in Chicago at a White House conference. Jackson says until there is complete reform in the Chicago Police Department, protests across the city should continue. "The silence of the political leadership in the country is astonishing," he said. "We've seen some of the republicans and democrats, neither have pressed the president to ask a single question about Chicago, nor has any of the candidates volunteered to discuss Chicago." He is also calling on the city to release more tapes from other police shootings.